"Everyday we make it, we’ll make it the best that we can." 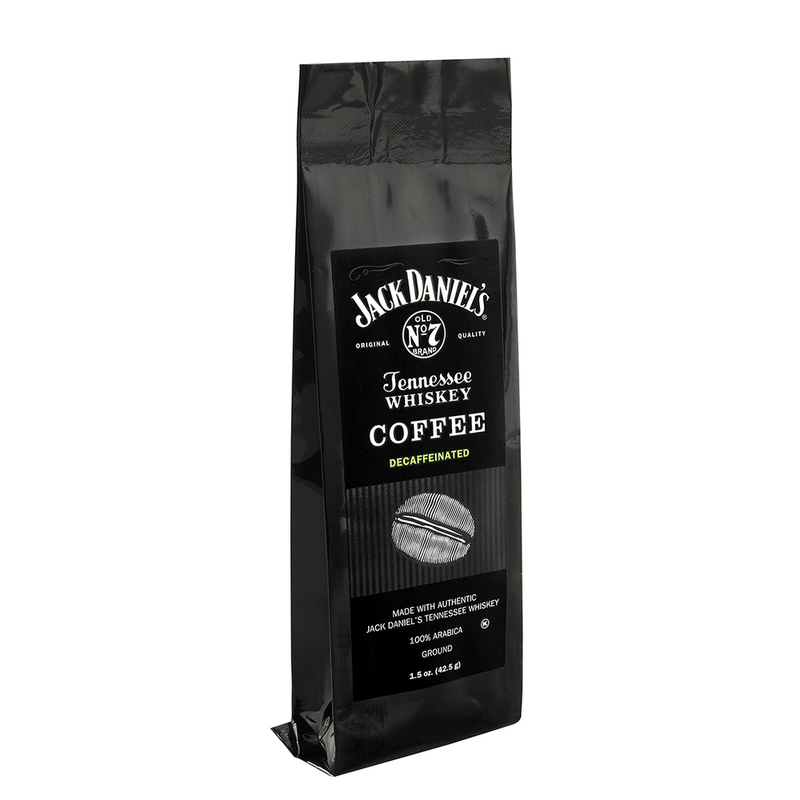 Our unique blend of gourmet coffee is 100% Arabica, infused with authentic Jack Daniel’s® Tennessee Whiskey, and roasted medium to provide a full-bodied rich flavor. The distinct caramel and vanilla notes of Jack Daniel’s® Old No. 7 Tennessee Whiskey are evident in each sip. World of Coffee operates using the same principles as Mr. Jack Daniel, “Everyday we make it, we’ll make it the best that we can.” We have been roast masters since 1984 and adhere to strict quality standards in the sourcing and production of the best tasting coffee. Just like Jack Daniel’s Whiskey, our coffee blend is crafted with pride using premium beans and proprietary roasting methods for a delicious brew with bold character and a smooth finish. Every drop of Jack Daniel’s Tennessee Whiskey is made in Lynchburg, Tennessee at America’s oldest registered distillery. The folks there still use the same care and methods that Jack Daniel established back in 1866. This commitment to quality, along with the unique charcoal-mellowed flavor, has led to Jack Daniel’s fame around the world. A simple reminder that quality and responsibility never go out of style. Your Friends At Jack Daniel’s Remind You To Drink Responsibly. Jack Daniel’s® Coffee is ground, available in regular and decaffeinated, and packaged in 8.8 oz. collectible tins and 1.5 oz. gift bags. This great American blend is non-alcoholic. Jack Daniel's® Coffee - 8.8 oz. Jack Daniel's® Coffee Decaf - 8.8 oz. 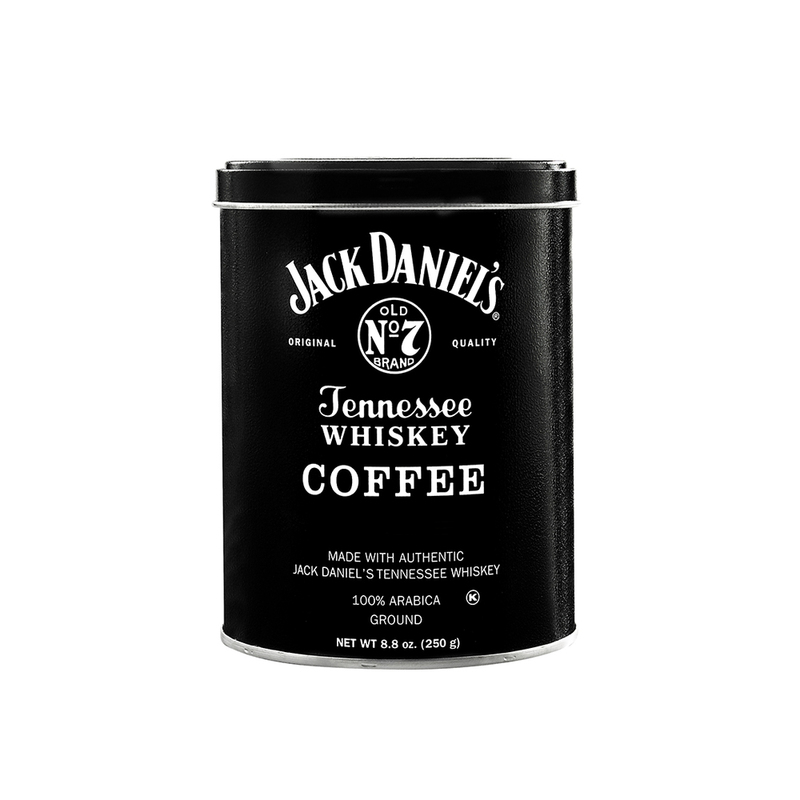 Jack Daniel's® Coffee - 1.5 oz. Jack Daniel's® Coffee Decaf - 1.5 oz.